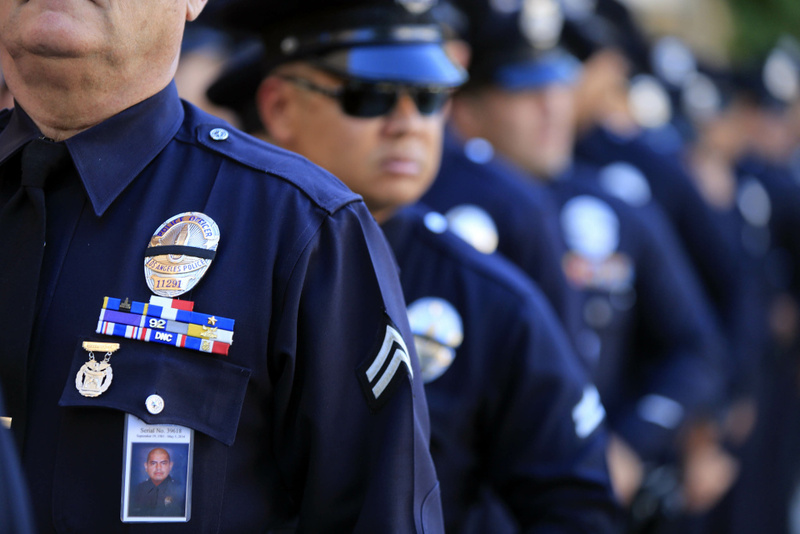 LAPD officers wear a badge honoring fallen officer Roberto Sanchez during a memorial service at the Cathedral of Our Lady Of Angels May 14, 2014 in Los Angeles, California. A new California Senate bill has been proposed to change standards for eyewitness lineups, aiming to make a dent in wrongful convictions. The bill, introduced by state Sen. Scott Wiener (D-San Francisco) and Assemblymember Marc Levine (D-Marin County), would implement procedures such as “blind administration,” or lineups managed by officers who aren’t aware of the suspect’s identity, and having officers take witness statements on how confident they feel about identifying a suspect. 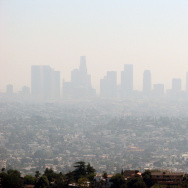 These standards are already in place in some California counties including San Francisco and Santa Clara. 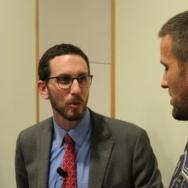 State Sen. Scott Wiener joins Larry Mantle today to debate the bill along with Eric Siddall, Vice President, Association of Deputy District Attorneys (LA County DDAs).